James B. Huntington, author, economist, radio host, blogger, and publisher, is the writer of Choosing a Lasting Career: The Job-by-Job Outlook for Work's New Age. 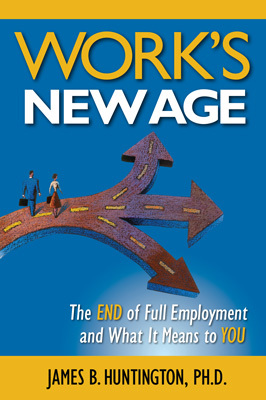 His previous book was the Independent Publisher Book Award (IPPY)-winning Work's New Age: The End of Full Employment and What It Means to You, from 2012. His 2007 doctoral dissertation, Prospects for Increased Post-65 Career Employment for the Baby Boom Generation, is the only book ever published on that subject. He is also the creator and keeper of the AJSN (American Job Shortage Number), the key economic indicator showing latent demand for jobs in the United States. 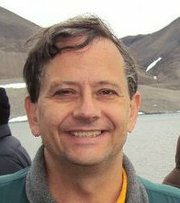 He hosts a weekly radio program, WORK SHIFT, on WJFF 90.5 FM, a PBS affiliate in Jeffersonville, New York, and writes the Work’s New Age blog at http://worksnewage.blogspot.com/. His letter on the jobs crisis being permanent and not going away with better economic times was the theme of the May 19, 2013 Sunday Dialogue in The New York Times. He has a B.A. in sociology from the University of Wisconsin-Milwaukee, an M.B.A. from the University of Phoenix, and a Ph.D. in Applied Management and Decision Sciences from Walden University. He has spoken on jobs, careers, employment, and economic conditions on more than 130 American radio stations coast to coast. He has also been a business professor, teacher, and professional speaker, and has written scholarly works on leadership, organizational change, and human development. He is married and lives in Eldred, New York.